Donors and supporters worldwide have responded generously to our appeal to help Syrian Armenians, and we are grateful. Over $150,000 in donations have been received just this month and put to use immediately – dozens of AGBU volunteers are working around the clock to register those who need assistance, assemble and distribute aid packets, and visit the homes of those who have been assailed. Read our full release here. We encourage everyone to contribute. Syrian Armenians need our help during this critical time. Donate by phone Mon-Fri 9 am to 5 pm (EST): +1-855-AID-AGBU (243-2428). AGBU just issued an urgent appeal asking Armenians everywhere to donate toward our emergency fund for Armenians in Syria. Click here to contribute now. Read the entire release here. 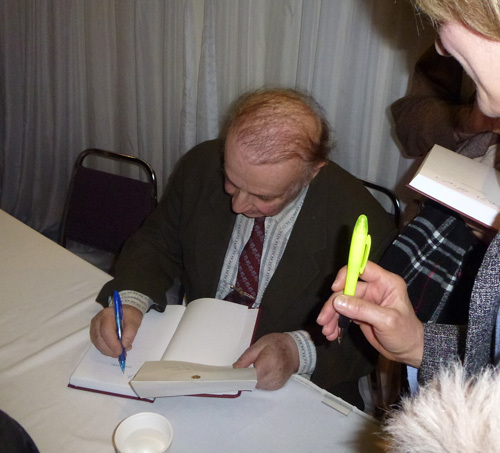 The author and professor, Vahakn Dadrian, signing copies of his book, "Judgment at Istanbul: The Armenian Genocide Trials." Audience members at the AGBU Toronto Centre. AGBU Montreal and Toronto recently held two presentations at their respective centers promoting the new book by world-renowned Genocide expert Vahakn Dadrian, entitled, “Judgment at Istanbul: The Armenian Genocide Trials,” which he co-authored with fellow scholar and author Taner Akçam, who is of Turkish descent. 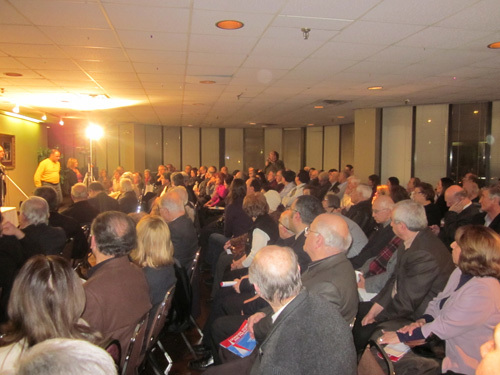 On February 1, 2012, AGBU Montreal — together with various Armenian organizations of Montreal and the Zoryan Institute of Canada — hosted a lecture by Professor Dadrian at its Center, with over 200 people in attendance. 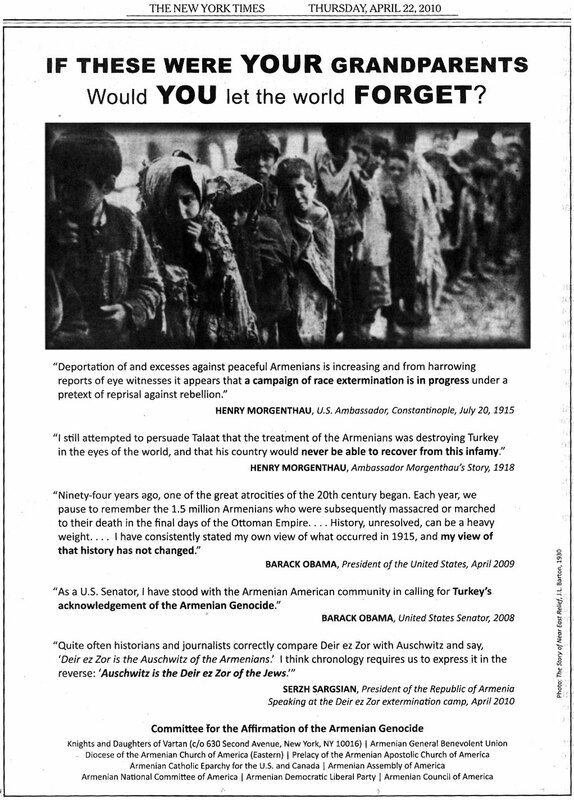 The discussion focused on the significance and criminal prosecution of the perpetrators of the Armenian Genocide, as well as the process of gathering information for the significant publication, which took over a decade to put together. “Judgment at Istanbul” marks the first complete known documentation of the Ottoman Special Military Tribunal, which took place after World War I, and the trial proceedings that showed the genocidal intent by Turkish leaders against their Armenian citizens. Following a series of questions asked by audience members, the author signed books for the attendees. All copies were sold out by the end of the evening. On February 10, AGBU Toronto and AGBU’s Young Professionals (YP) of Toronto — in partnership with the Zoryan Institute and a group of local organizations — hosted a similar lecture by Professor Dadrian at its Toronto Center. Close to 250 people listened as George Shirinian, the executive director of the Zoryan Institute, introduced the author. Also present was the Ambassador of Armenia, His Excellency Armen Yeganian. As Dadrian continued this promotional tour, AGBU Ararat also co-sponsored a lecture on March 9, 2012, in New Jersey.